Will Texas' attempt to shake up school finance lead to higher stakes for standardized tests? The idea of tying a portion of funding to test scores appeals to some who want to improve student performance, but it enrages educators who say it will encourage teaching to the test. Top Texas lawmakers this year are proposing allocating billions of more dollars for public schools, but a portion of those dollars will likely have strings attached. And some education advocates worry the strings will lead to an even greater emphasis being placed on standardized tests in the state. In various appearances at press conferences and speeches in Austin last week, the state's top Republican leaders signaled their support for giving more money to school districts that show higher performance or agree to offer specific programs such as merit pay for teachers. One of their main messages: Schools do need more money, but they have to show they know how to use it wisely. Gov. Greg Abbott and Lt. Gov. Dan Patrick have said they want to avoid "throwing" money at schools without demanding better results. New House Speaker Dennis Bonnen called for increasing public education funding while getting a "return on that investment. And that return is producing children who can read, write and do math." The Texas House has proposed a budget that would put $9 billion into public education and property tax reform, while the Senate is proposing $3.7 billion to give teachers pay raises and $2.3 billion to help mitigate the state's reliance on property taxes for school funding. Lawmakers in both chambers filed few bills so far showing their specific policy proposals and none yet on outcomes-based funding. But in a December report, a state-appointed school finance panel recommended spending about $800 million — a fraction of the money either chamber is proposing — to incentivize superintendents to improve third-grade reading and increase the number of high school graduates on track for college or a career. The proposal appeals to some business leaders and residents watching taxes skyrocket while schools struggle. But it enrages educator groups, who say that it will direct needed resources away from low-performing school districts and encourage teaching to the test. 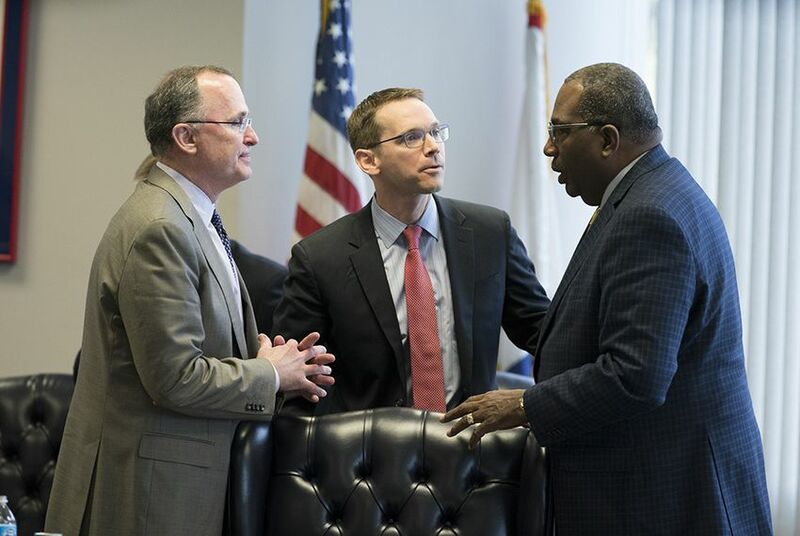 Todd Williams, a former Goldman Sachs partner who now serves as education adviser to Dallas' mayor, has been the main voice advising lawmakers to back what he calls "outcomes-based funding." Appointed by Abbott to the school finance panel, he quickly steered the bipartisan team of lawmakers, educators and business leaders toward proposals that would give school districts "incentives" to improve students' academic results. School districts would get a certain amount of money for each third-grade student who meets grade level in state standardized tests. More money would be allocated for low-income students, and districts could then use that money to continue to improve their early education programs. They would also get more money for each graduating high school senior who receives a technical certificate, enlists in the military or enrolls in college without needing remediation. They could use that money to continue to improve their high schools. Texas has never before tied funding to student performance. Currently, school districts receive money based on the number of students who attend their schools, and the state allocates more funding for students who have more expensive educational needs. "This is a much different approach, which is more strategic and hopefully more productive," said Williams, who founded the Commit Partnership, a regional coalition of education-minded organizations in Dallas. "From a business perspective, whenever you put together a budget, the question I always ask is, 'What is the outcome we want?'" But educator advocates balk at the idea of applying a business model to public education. "You don't pattern the public school system and the budget for public schools after the budget for a Fortune 500 company," said Clay Robison, spokesperson for the Texas State Teachers Association. "If you're going to give a little bit more, you have to give that extra to those districts and students that need it the most." The outcomes-based approach has limited precedent across the country. In 2017, Arizona approved a $38 million program to reward schools with students who performed well on standardized tests. A review of the program showed that the state's wealthiest school districts and charter schools received the majority of that funding. Williams acknowledges that some models could deepen inequity between school districts. But his proposal would provide school districts much more funding for low-income students who perform well in third-grade reading or go to college, meaning high-achieving school districts with more low-income students would see much more of the total money. He's hoping that dangling money in front of school district leaders will convince them to strengthen pre-K programs and put their most effective teachers in low-performing schools. That, in turn, will get more low-income third graders reading, he believes. But some critics argue the money will instead incentivize educators to put more pressure on their third-graders to perform well on the state standardized test. "They're going to be looking at the short term and trying to chase after that test," said Michelle Smith, director of governmental relations at education advocacy group Raise Your Hand Texas. And others say the proposal will direct money away from school districts that don't perform well, instead of giving them resources they need to improve. "That's always the concern with outcomes-based funding is that it's going to end up rewarding those who are already doing well without identifying why districts aren't doing well and giving them the resources they need," said Chandra Villanueva, policy analyst at the left-leaning Center for Public Policy Priorities. "It seems disingenuous, almost paternalistic, to say that we're not going to give schools any more money until they improve their outcomes." Disclosure: Todd Williams, the Texas State Teachers Association, Raise Your Hand Texas, the Commit Partnership and the Center for Public Policy Priorities have been financial supporters of The Texas Tribune, a nonprofit, nonpartisan news organization that is funded in part by donations from members, foundations and corporate sponsors. Financial supporters play no role in the Tribune's journalism. Find a complete list of them here.